How Many Ribs in a Rack? How Does A Rib Be Like? Bear in mind that there are numbers of cuts of ribs that are available for pork or other animals. And the numbers of available ribs might always depend on the section of the pig the ribs are cut from. Every cut would have different fat levels and the meat and bones would be a lot thicker based on the location of these ribs. Here, a rack of pork spare ribs is taken from the behind of shoulder or to be precise, they are cut right from the belly and breast bone. In fact, this is considered as the cheapest cut of pork ribs and there could be 11 to 13 ribs in the rack of the pork spare ribs. Besides, there are also various specialties of pork spare ribs based on how they are being trimmed and wherein the trimming style has originated from. They might come from rib tips, Saint Louis style ribs, and Kansas City style ribs. The St. Louis style ribs are the same with spare ribs only that the cartilage and breastbones are removed. It has a minimum of 10 bones but a maximum of 13. And these are flat and straight bones. These spare ribs are also browned in the frying pan most of the time. And it could feed two to three individuals. On the other hand, the rib tips are those that have been cut from the end of the spare ribs which make the St. Louis style ribs. They are also referred as brisket and measure 1 to 3 inches wide and 8 to 12 inches long. Known as the most popular among meats, many would love to buy and cook lamb at home. In fact, lamb is also one of the most popular dishes you can order at a certain restaurant, particularly the rack of lamb. Nevertheless, how many ribs in a rack of lamb? Well, a full rack of lamb would contain eight ribs. However, there could be times wherein you might only see seven ribs due to the way they are cut. Still, the meat from both ribs would be attached to the single rib bone located at the bottom. The same with pork ribs, these ribs might have more bones and fat than meat. It has more fat than pork though. And if you will cook lamb ribs, slow cooking might be needed to render out the fat, therefore, make the meat tender. Let’s now proceed to the beef rib racks. Every side of the steer has 13 ribs and so they range right from the breastbone up to the backbone. The same with pork ribs, purchasing a whole rack of the beef ribs could be considered. And this full rack is about nine ribs ranging from the second to the tenth rib. The rib bones might be as long as 18 inches, however, it is extremely hard to find the entire rack of beef ribs that are sold in the commercial market. This might include both retail and wholesale. Beef ribs are not nearly as cheap as they were, but they are considered to be far more affordable compared to other cuts of meat that are available in a cow. If you are familiar with the right cooking methods for every kind of beef rib rack, they might taste a lot better. There could be two primary cuts for the beef ribs that are sold since it is too rare to find an entire rack. The best thing to do is to buy short ribs or back ribs. 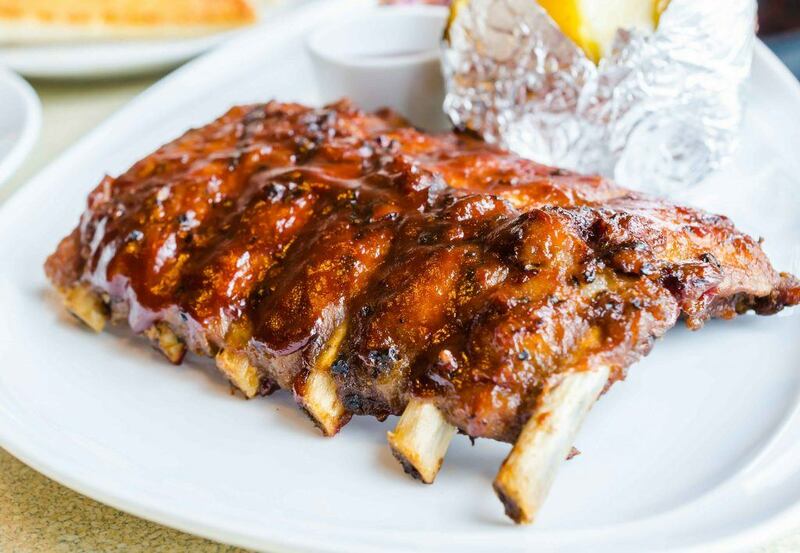 Beef back ribs are also referred as dinosaur ribs. They consist of seven rib bones known as the feather as well as the chine bones are being eliminated. And these bones are typically 6 to 8 inches. On the other hand, short ribs are sold in three-bone portions. The single rib might weigh 1 up to 2.5 pounds and could make two to three servings. They also consist five ribs with 3 to 4 inches long. For you to know how many ribs in a rack for pork, you should be precise and mean about the baby back ribs. These are ribs from the loin or the back wherein they are taken from between the spine and the spare rib. And this rack would contain either 15 to 16 ribs. The variation of the ribs is due to the breed of pig however when it is time to buy, this hardly matters. Once the rack of ribs is removed from the loin, two or three are left behind on the shoulder. So, once buying a rack of ribs and knowing the answer to the query, there is actually no fixed answer. However, you might consider that a rack of baby back ribs might contain as little as eight ribs only. In most cases, rib racks that are sold in stores out there a number between 10 and 13. And anything that is less than 10 has something to do with the trimming because of damage from removal. Cheater rack is the name called to racks with fewer than 10 ribs. Also, take note that the shortest bones on the baby back ribs rack are only around three inches while the largest ones are about six inches. So, for the answer, there could be 8 to 13 ribs on the rack of a baby back ribs. The rib is considered as a premium exquisite which is cut from a rack of meat. This would usually contain a rib per one chop. 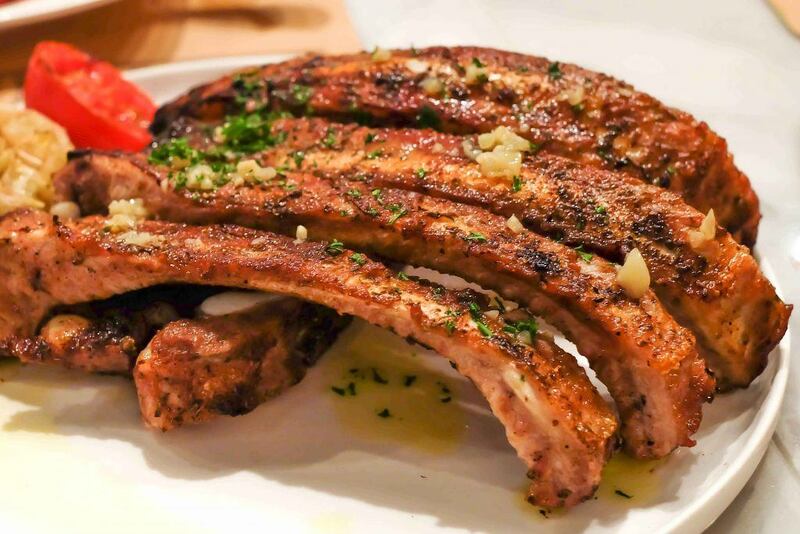 For you to get a more satisfying and juicier cut for the dish, it is advised that you get a double cut lamb rib chop that basically includes two ribs. So, in a general rule of thumb, it is recommended to the consumers that you grab a lamb rib chop once planning to cook a dish for a person or two. 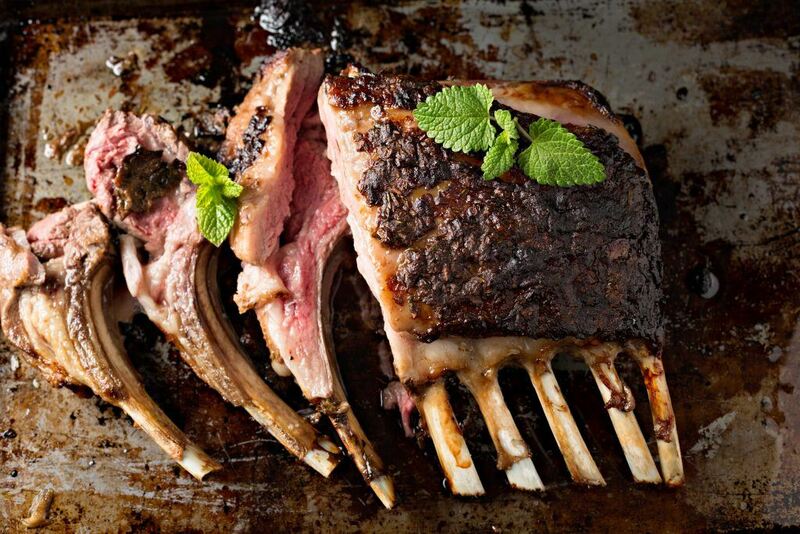 Usually, lamb rack is meant for a big group of eaters, making numbers of servings at a time. Always keep in mind that you get the perfect cut of rib for your dinner or family outing. First, let us discuss the difference between ribs and rack since there is a common confusion among numbers of consumers. To avoid such confusion, there is a need for you to remember that a rib is a part of the rack. Yes, you’ve heard it right! 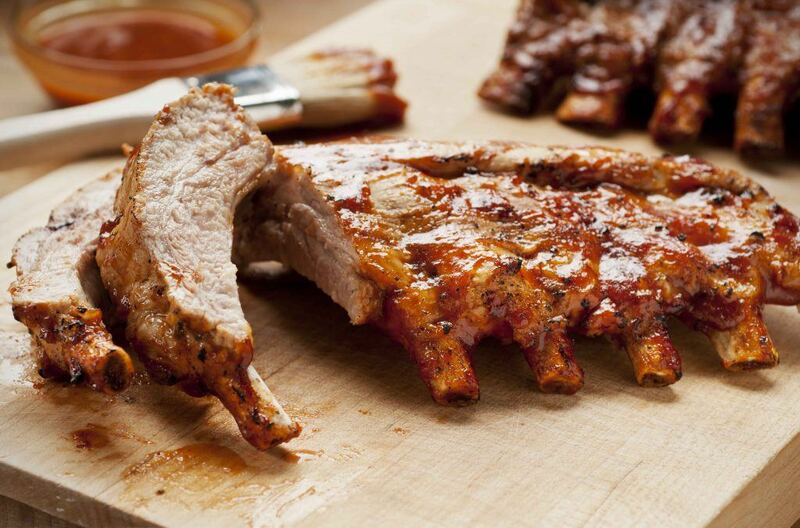 On average, there are eight ribs in a full rack. And these are most of the time cut down into tender and small rib chops. A rack meat would make a scrumptious roast meal you can prepare in a house warming occasion or for a family barbecue event. And to bring a notch higher, you could tie two or three racks all together as for forming an elegant crown roast. This type of roast is big enough for three servings. There could also be numbers of trademark cuts for a rack and the French Rack is the most common one. It is also referred as the French Cut Lamb Rack. This kind of cut could be identified easily since the meat at the tip is cut away as for exposing the bones. Once buying at local neighborhood butcher stall, you must remind them to crack the backbone or the chine between the ribs as well in order for the roasting to be a lot easier to carve within a limited space of the bbq grill or oven. Still confused about how many ribs in a rack? I hope so you’re not by the help of the information I have discussed above. 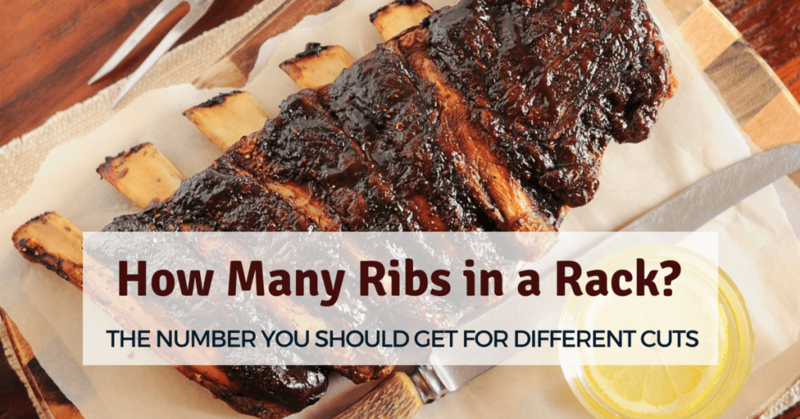 Just bear in mind that in determining the numbers of a rib in a rack, considering the type of cut made is important. You can watch this if you want to be guided on how to cook great ribs in the oven. How about sharing this article? Let your family and friends know about this! You can also leave your comments below and we will respond to your queries the soonest! Happy reading everyone!